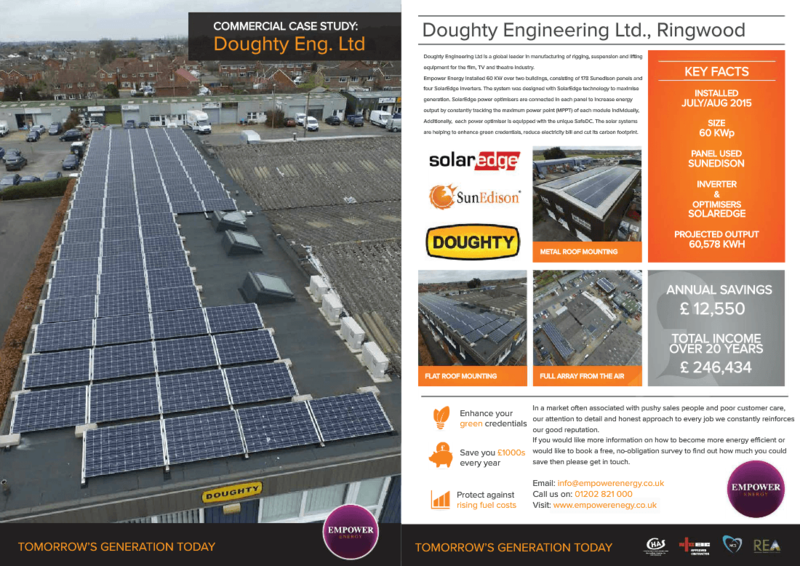 We have 14 years experience fitting solar panels for engineering & manufacturing companies. With Commercial Solar photo-voltaic system technology evolving and as growth continues worldwide for renewable generation alternatives, solar and other form of renewable will continue to reduce our dependence on fossil fuels. We know by using solar our clients see immediate reductions in energy costs, benefiting from generous ROI & meeting sustainable commitments. Empower Energy offer a full turnkey solution from Project management, design, performance calculations, modelling, planning, installation and commissioning. Like many manufacturing companies energy usage is one of the biggest costs facing this type of business. In August 2015 Doughty Engineering is a global leader in manufacturing of rigging, suspension and lifting equipment for the film, TV and theatre industry. 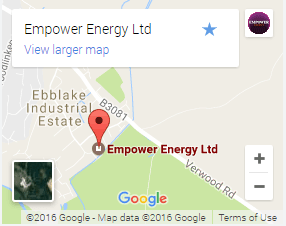 Empower Energy installed 60 KW over two buildings, consisting of 178 Sunedison panels and four SolarEdge inverters. 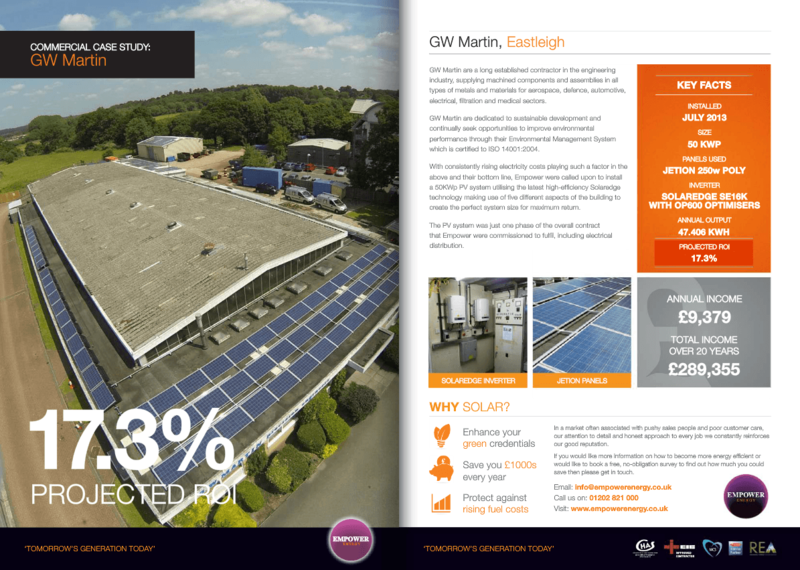 The system was designed with SolarEdge technology to maximise generation. SolarEdge power optimisers are connected in each panel to increase energy output by constantly tracking the maximum power point (MPPT) of each module individually, Additionally, each power optimser is equipped with unique SafeDC. The solar systems are helping to enhance green credentials, reduce electricity bills and cut its carbon footprint. In July 2015 Empower Energy installed a 60 KW over two buildings consisting of 178 Sunedison panels and four SolarEdge inverters. 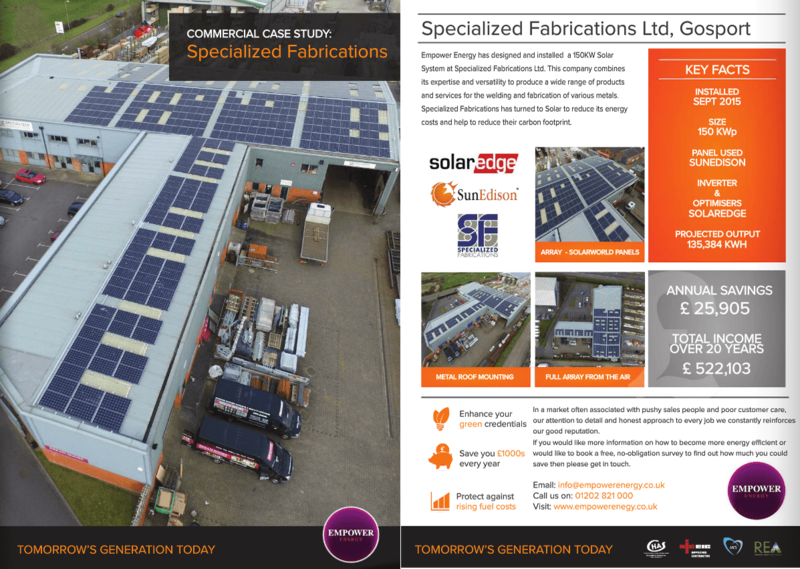 Empower Energy has designed and installed a 150KW Solar System at Specialized Fabrications Ltd. Empower helped them to reduce its energy costs and help to reduce their carbon footprint.